If you’re single, you probably don’t have a need for life insurance. However, there are MANY reasons why you may actually need it. Most likely, someone depends on you financially – such as an aging parent or sibling. Also, you are most likely carrying some form of debt that you wouldn’t want to pass on to family members who may survive you. You might also want to consider purchasing life insurance when you are single especially if you anticipate a need for it down the road (i.e. you’re the marrying type and plan to have a family). Some financial experts argue that it can be worth buying life insurance while you’re young because premiums are relatively low and you’re likely in good health. If this rings a bell, and you can fit the low-cost premiums into your current budget, it makes sense to lock in coverage now. This is an extremely exciting time for you and your partner. New beginnings…like embarking on new adventures together such as buying a home, planning a family or maybe even changing careers. Now life insurance is more important because someone else is financially tied to you. First, calculate the amount of coverage you need to replace future lost income and cover any large debts. Then, decide what type of insurance to buy. You might be able to afford to buy sufficient death benefits through a Universal life policy, which have investment components as well as death benefits. Or, you may be better off buying term life insurance, which provides only a “pure” death benefit for a death occurring within a specified time. Generally, term insurance allows you to buy more death benefits for each premium dollar. If both you and your partner earn incomes, each of you may be financially dependent on the other’s income to maintain the same standard of living. If this is the case, you should both have life insurance coverage to help the other continue to live the lifestyle you’ve worked so hard to achieve together. Even if the concept of having a baby is still just a potential “down the road” type thought, you should buy life insurance right away. It’s common for couples to wait until after the baby is born to explore obtaining a policy, but it’s not ideal. There are several reasons to obtain a policy prior to starting a family. As a husband, once your wife gives birth there is another (very little) person dependent upon you. You have a need and an obligation to protect your family, and provide for them even if you are not there physically. For Mom, most life insurance companies won’t issue you a policy until after you deliver. Others will issue a policy, but you may not get the best rate due to higher cholesterol, weight gain, potential issues, blood pressure, etc., all as a result of the pregnancy. Bringing a child into the world is such an exciting, yet unsettling time. Thinking about obtaining coverage before you start your family is one less thing you’ll have to worry about. Congrats on your new addition! At a time when you just brought a new life into the world, it’s hard to think about life insurance because it forces you to face your own mortality. But as tough as it is, it’s a crucial time to have a serious conversation about this topic with your partner. Most likely, you will need to boost coverage to take into account the future cost of raising your child, including college. Provide coverage for a stay-at-home parent too. Planners differ over whether to buy a small amount of life insurance for children. Some consider it a waste of money, while others recommend coverage for unexpected funeral expenses. Now, with certain universal life products, you are even able to begin to plan for a substantial cash value policy, minimizing death benefits, but providing the prospect of future gains in value. You may want to use your will to create a trust with your children as beneficiaries in order to manage the life insurance proceeds (and other assets) in the event both parents die while the children are still young. Whether your child is brand new, or you have a toddler running around, you need to ensure your potential future earning power will be there even if you’re not. Life insurance will provide money directly to your family, which can help them keep up with their existing lifestyle, pay for the kid’s education, and pay off debt and other related items. If you’re a stay-at-home parent, make sure you have coverage as well. Stay-at-home parents take the control of childcare, transportation, cleaning, cooking and whatever else needs to be done. All of which are important tasks your partner would have to pay someone else to do if you were no longer around. With the kids gone, you may not need as much life insurance as before, but it remains critical if you’re married and still working. 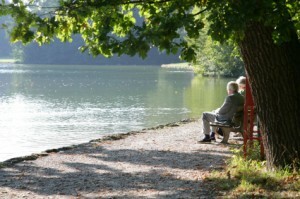 Often, estate planning issues on legacy creation will determine if you wish to keep coverage. Just because your children are through college, and the house is paid for, does not necessarily mean that Social Security and savings will take care of whatever the future holds. Not to mention, the economy and other factors such as your “coming home to roost” kids have changed your retirement plans a bit. Like any parent, you’re happy to help your (ADULT) child out financially. However, there are issues. The potential return to the nest can completely derail your plans and place your financial future in dire straits… especially your retirement. Life insurance can help to fill in this gap in your financial plan and allow your spouse to keep up with the lifestyle you’ve worked so hard to provide. You’ve finally made it! You’ve done all you could do to shore up your wealth, maintain your lifestyle and take charge of the situation. This is the time to think about how to preserve your wealth for your heirs or beneficiaries, how to leave a legacy. Life insurance plays an important role during this time. You may need minimal or no life insurance at this stage —perhaps just enough to cover any debts you have and to be certain your spouse will be OK financially. Larger amounts might still be necessary if you want to pass the death benefits on to your adult children or to pay for potential estate taxes. With large amounts, it’s often wise to shift ownership of the policy out of your estate in order to reduce any potential tax bite. Depending on the size of your estate and your financial planning, your heirs or beneficiaries could be hit with a sizeable estate tax payment after you die. If your insurance is properly structured, the proceeds from your life insurance policy won’t add to your estate tax liability. In fact, the proceeds of a life insurance policy are payable immediately, and can help take care of existing estate taxes, funeral costs, and other debts without having to liquidate other assets.